When you're looking for paint color ideas, it's best to start evaluating what you have - your paint colors should complement the other elements of your interior design. 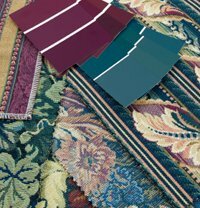 You need a color scheme that fits to your furniture and flooring, your designing style, and the function of your room. Scroll down for inspiration. Via these pages you'll also find paint color ideas and color schemes for these rooms. Colors have a defenite effect on your mood. Click here for more paint color ideas on color and mood. The thing about paint colors: there's just too many of them. 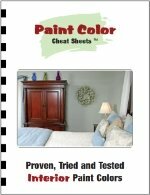 If you want to limit your options to the sensible ones, check the Paint Color Cheat Sheets. It's a list of proven and tested paint colors, developed by Yelena Kublitzky, a color consultant who owns a painting company together with her husband. 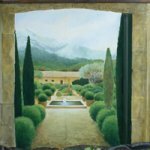 Her paint color ideas are from real life, and she explains a lot about the how-and-why of paint color effects. Most paint color ideas are either based on shading, or contrast. Shading means: having colors that are closely related - like green and blue, orange and red etc. A shaded color scheme is good for small rooms. 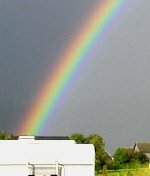 Contrast means: having colors that are contrasting or complementary - they bring out each others color strength. Looks good with carefully toned colors. Interval is about the way screen colors mix. It can be a way to add a third color group into the scheme, without becoming too wild or disharmonious. For small rooms, shaded colors are best. For big rooms, contrast can create a lively impression. Check here for more paint color ideas on contrast, shading and interval, and here for notes on big and small rooms. White woodtrim usually looks good with colored walls. When the walls are dark, the woodtrim can be one or two shades lighter (of the same color). When the walls are light, the woodtrim can be one or two shades darker (of the same color). White walls (and beige woodtrim) give plenty of room for colored decorations - artwork, rugs, curtains. White walls go well with all kinds of green, violet and blue shaded trim. But there can be more: with a little more deliberation, you can create a color scheme to complement the rest of your interior design. Click here for more on choosing paint colors. Sometimes a paint color just is wrong, even if it seemed right as a sample. But often they can be mended. Important: if you have more than one can in the wrong color, put all the paint in one bucket before you start mixing. The paint can be poured back in the cans after mixing. If the color is too strong, add a bit of the contrasting (opposite) color. If the color is too light, you have several options. Adding a pure, strong color will create a candy-like pastel tint, adding a bit of black makes it go darker. You can also add the contrasting color, to create a more neutral tint. 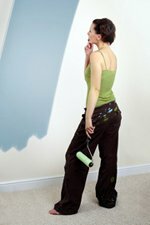 If the paint doesn't match to another color in the room: add that color to the paint - that helps. Buying the wrong paint colors is a costly thing... 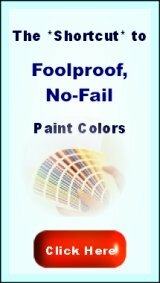 Prevent that by testing paint samples, using house paint software or using the Paint Color Cheat Sheets. 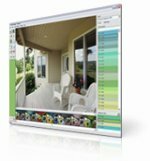 Another option is house paint software - in this software you can upload your own pictures and color them with available paint colors. It gives a realistic preview on the results of a painting job. First define the "hue' - is it yellow, orange, green, red etc. Browns are usually a shaded orange or red, yellow ochre is a shaded yellow. Then define its tonality - how dark is it? Does the darkness fit to the hue? Violets and cobalt blues have a tendency towards darkness (even when mixed with lots of white). 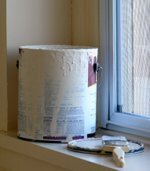 Here you'll find more on judging and mending interior paint colors.